Download "Where Were You (On Our Wedding Day)?" 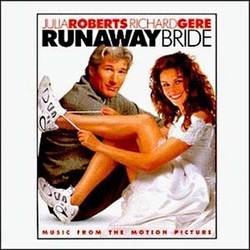 Billy covered "Where Were You (On Our Wedding Day)" for the movie Runaway Bride starring Richard Gere and Julia Roberts. The movie is about a woman who had run away from the altar on her wedding day, and Gere is reporter who goes to cover the story later and (surprise) they fall in love. 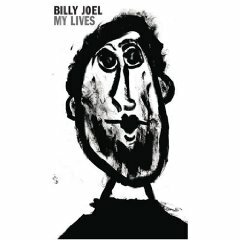 I am not a big fan of the song (or the movie) but one writer at Ultimate Class Rock rated it Billy's best cover, stating: "Backed by a tight support band and a full horn section, Joel rips this song to shreds with a classic boogie woogie piano line, rowdy backing vocals from his band, and a smoking sax solo. . . 'Wedding Day' hits all the cover sweet spots--it's got a unique identity that channels the original while making it sound fresh." Well, that's all true, but I think Billy's best cover is Leonard Cohen's "Light As The Breeze." I would like to see Billy do a cover of Cohen's "Hallelujah, I think he could give it a lot of depth and meaning. The song was recorded for the soundtrack to "Runaway Bride" starring two actors that seem to be in everything. Where were you when I said "I do"? Where were you when I searched the town? Where were you, little girl I say? Fan video of Billy Joel's version of "Where Were You (On Our Wedding Day)?" set to scenes from the show "Firefly." Demo versions of Billy's cover with alternate piano solos. Lloyd Price's original version of the song. His biggest hit, however, was "Lawdy Miss Clawdy" in 1952.